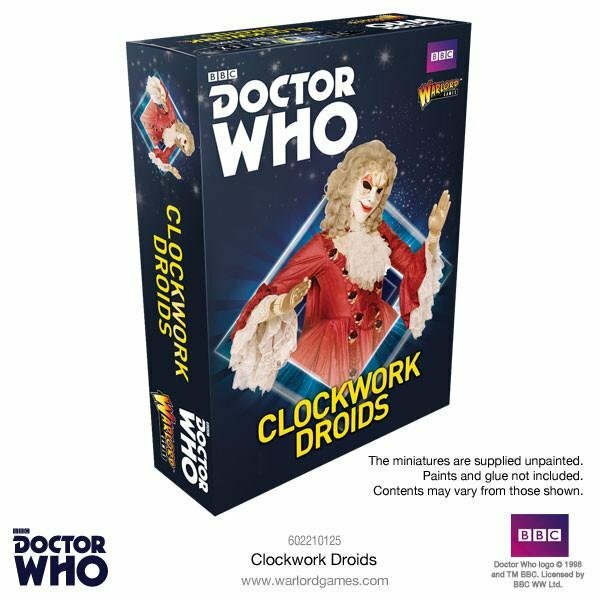 Serving aboard SS Madame de Pompadour, the Clockwork Droids had harvested the crew's body parts to repair their damaged spaceship. Only now needing to repair the broken command circuit they stalked the original madame Pompadour to 18th-century France, believing her brain was the missing part they needed. Dressed as French courtiers and wearing ball masks, their true nature was given away by the ticking of their inner workings. The Clockwork Droids had retractable repair tools at their wrists which could double as weapons.